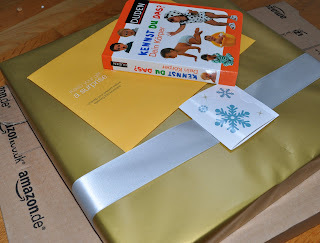 Just About Anything: I've Got A Parcel! Well, it's actually not for me but for our little Samantha. And as a mom, I am just excited! 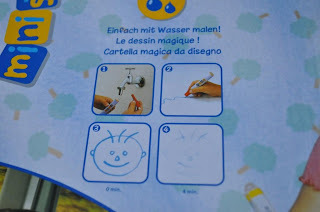 There was also a board-book for children about the parts of the body. I get to learn with Sam when I read it to her! 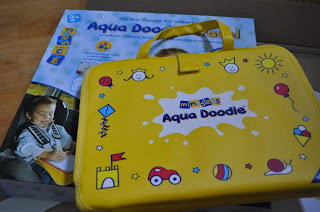 The main package of course is the Aquadoodle Travel N Doodle. It will be something that will keep Sam occupied while we travel. And I am sure that she will really enjoy it. 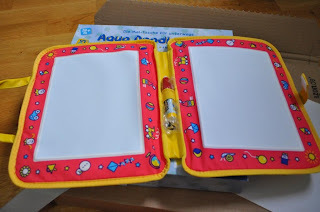 She can draw and doodle without the mess! Thanks Joe-Ann of My Life, Jerome and Johan! It was a very lovely Christmas gift. Samantha loved it! Will post photos of her enjoying her new toy at Samantha's Own soon!